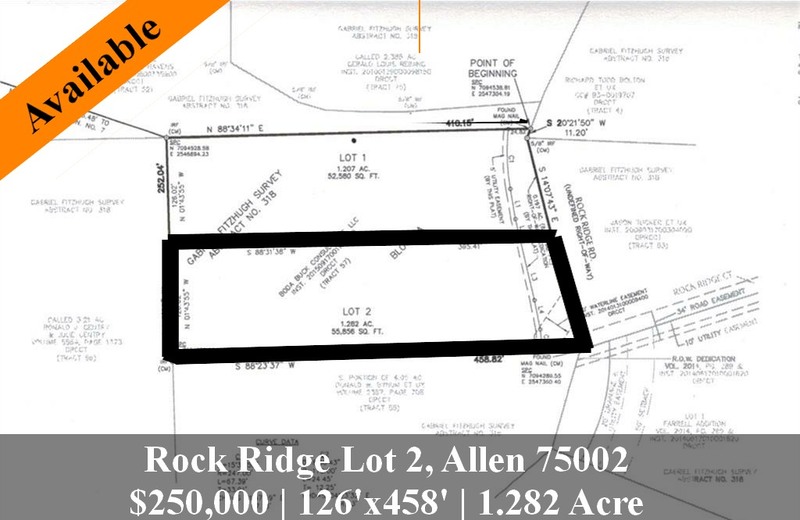 Allen Custom Homes | Fantastic opportunity to buy in acclaimed Lovejoy ISD. Newly replatted, this building site is a welcomed 1.2 acres. Outside the city limits and no HOA gives this property lots of possibilities. Lot 2 is 1.282 acres and is the northern lot.